Many races, both handicap and one-design, are won or lost by a handful of seconds. A good way to insure you're not on the losing side is to avoid "Unforced Errors." These are errors we make on our own...not when there are other boats around to force us into making less than favorable decisions. Hitting a mark with no other boats nearby is definitely an unforced error. A couple of weekends ago I was in a handicap race where we needed to beat the second-place boat by a lot of time. Approaching the first windward mark, while many boat lengths in the lead, I tacked on what I thought was the layline. Because of the adverse current, I misjudged the layline and had to tack two more times to get around the mark. That cost us nearly a minute and we lost to that boat on corrected time. 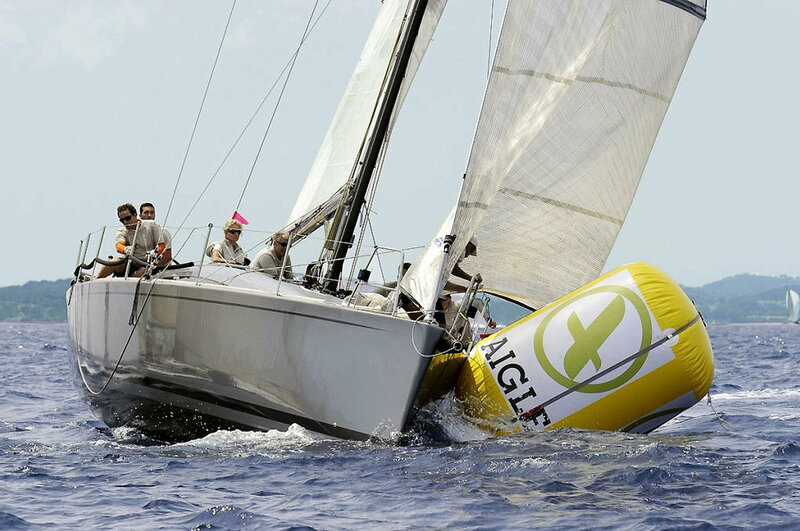 In another race, I tried to carry the spinnaker too close to the leeward mark to gain as much time as we could. Big mistake! As we came around the leeward mark, our jib was only half way up and the spinnaker only half way down. It was not pretty and certainly not fast. That cost us anywhere from 45-90 seconds and that was more than we owed our nearest competitor. Neither of these mistakes were forced by boats right around us. They were unforced errors due to our not thinking through all the factors at hand (current vis-à-vis the layline) or that we were too aggressive in a leeward rounding (I had some less experienced crewmembers aboard). But these are the types of mental lapses - unforced errors--that you can avoid if you anticipate what's ahead for you on the course. I did learn from the first mistake; last weekend we were in the lead in a very light air race with no one around us. Before making my final tack to the mark, I overstood by a boat length or more. Yes, it cost us some time, but the extra 15 seconds I left on the table from overstanding was a lot less expensive than two tacks in light wind. The moral to this story: don't be too greedy, anticipate your maneuvers, and have someone go through a mental check list with you before making a move. The cost of racing on the knife edge of perfection can translate to lost places on the result sheet. So be a little more conservative, think about what's next, and don't make those unforced errors.